Riverside Park at Extension 24 in Nelspruit has been constructed using Corobrik Bergendal Satin Light FBS with Corobrik 65mm Cedarberg Pavers being used to complement this office block. 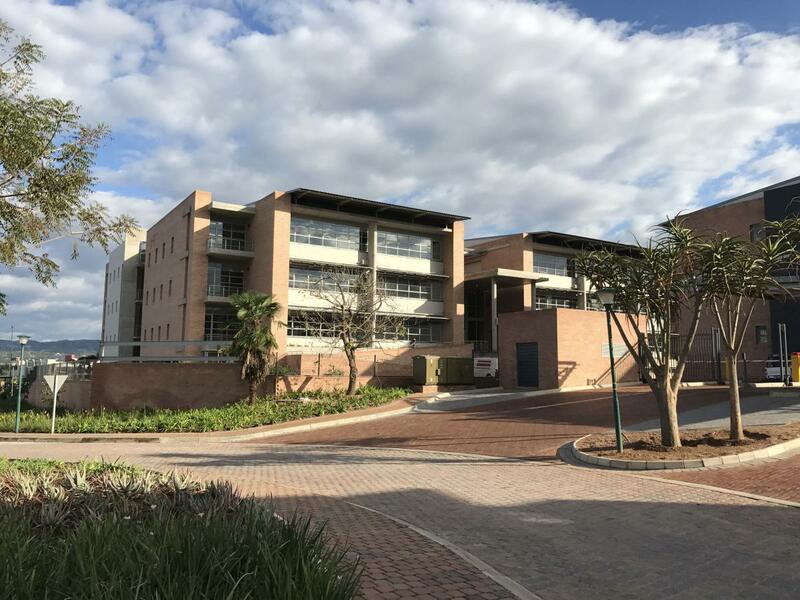 One of Nelspruit’s burgeoning business regions, Riverside Office Park, has just undergone a massive upgrade with Corobrik’s durable and attractive face brick and paving ranges incorporated into the new structures. Situated north of Nelspruit’s central business district, Riverside Office Park is a City Improvement District which forms part of a mixed-use node attracting many new businesses because of the area’s high-level management and convenient location. Conceived by Halls Properties, original owners of the land, the buildings have been designed within a sectional title set-up with several consortiums taking ownership of the five blocks which make up Riverside Office Park. Halls Properties identified a need for an office node within the Riverside area and decided to open up this expansive block for an office park development, with ranging office space sizes for a diverse market. Construction began in September 2015 on the development which consists of five office blocks and two parking levels. There is a shared parking basement for blocks 2 and 3, considered the central block, while blocks 1 and 4 have central garden courts which form the public spaces for tenants. This court is essentially the heart of the offices, creating an attractive feature which provides a necessary space for relaxation in between hectic working schedules. The development was constructed using up to 900 000 of Corobrik’s Bergendal Satin Light face bricks and more than 200 000 Tuscan Blend pavers with final completion anticipated for the end of 2017. Corobrik Commercial Director, Musa Shangase, praised the building’s aesthetics and said the choice of Corobrik’s range was ideal for the location. He said the only challenges encountered with this particular project were managing the stock and consistency of the product over the construction time frame, however, the end result was an exceptional development. Architect, Reiner Fortsch of Fortsch+Associates Architects, said quality and appearance are two of the most important elements when selecting a product. He said that, for this particular project, the Bergendal face brick’s attractive light colour was a good match for the colour of the soil found around the office park. The face bricks were used to give expression to the thick solid walls which are a strong conceptual aspect to the buildings. They were used on the east and west elevations to guard against harsh sunlight because much lighter glass facades dominate the north and south elevations. Fortsch said the Tuscan paver was an ideal choice because the attractive colour worked well against the face brick walls while its thickness ensures longevity with repeated use.